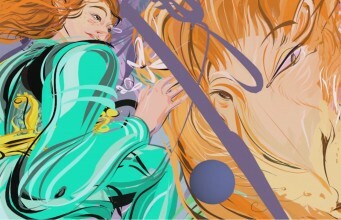 Oculus in a blog post has announced that Quill, their VR illustration software used for Dear Angelica, is going to launch as a free beta with the launch of their Touch controllers next month. This adds yet another free application to the lineup Oculus has prepared. Among those, there is also Oculus Medium, which, rather than painting or drawing in 3D, lets users sculpt and model. Both of these free programs look to enable a wide variety of artistic styles. realistic painted style in comparison. We may have yet to see just how far this tool can go in the hands of other artists. The beta will be free, but there has been no confirmation yet if the full release in early 2017 will be priced or not. The post ‘Oculus Quill’ Beta Available For Free At Touch Launch appeared first on Road to VR.